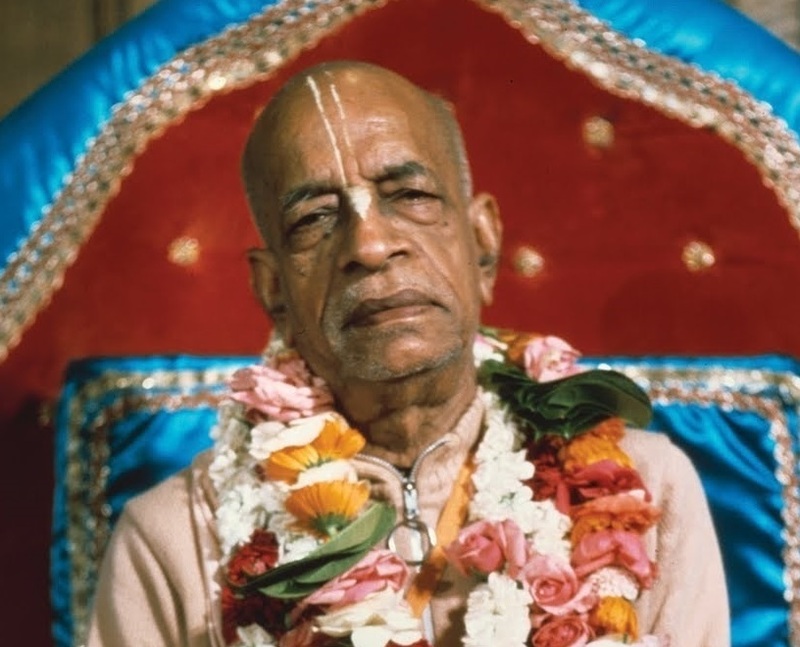 Devotee: If someone is engaged in devotional service and he commits an offense at the feet of a pure devotee, whatever he has done up until that time is not lost? Or he, in his next life he gets...? Prabhupāda: No, if he thinks that he has committed offense, he should ask pardon, excuse, that's all. Devotee: What if he just goes on and he never asks pardon? Is he finished in...? Prabhupāda: Then that he should. That he should. That he should. Prabhupāda: Yes. "Please excuse me. I have done..."
Prabhupāda: That is obstinacy. Why should he not? If he thinks that he has committed offense, why should he not ask excuse? Devotee: Well, he may not think so. He may just find himself falling down. Prabhupāda: Then fallen down, what can be done? To save from this fallen down she should ask or he should ask, "Please excuse me. I have done..." That's all. Finish it. And a devotee is always prepared to excuse. Why should he not ask? Prabhupāda: Yes. One should be very cautious, and if it happens so, then he should ask to be excused. That's all. Yes. Devotee (2): That's the cause of all falldown, committing offenses at the feet of a pure devotee? Prabhupāda: There are many causes. One should be cautious, that's all. Therefore one should hear, one should be cautious, and chant Hare Kṛṣṇa. Kṛṣṇa will help. We should be cautious, but if something is done unwillingly, that is excused by Kṛṣṇa. That is another thing. We are offending in every moment, but when it is within our consciousness, we should take some precaution that "This should not be done. If I have done, ask excuse." That's all. Finish.